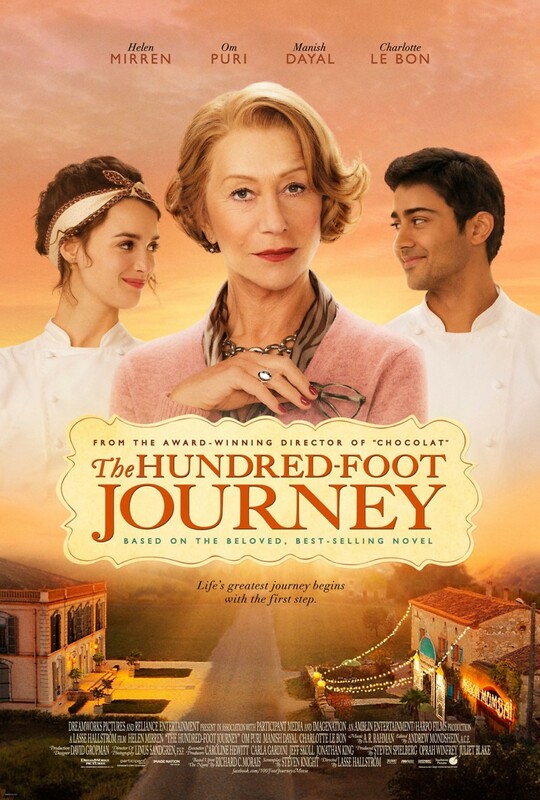 The Hundred-Foot Journey DVD and Blu-ray release date was set for December 2, 2014. Hassan Haji is a young Indian boy living with his family in a small village in the French Alps. His family opens a restaurant just 100 yards from a three-star Michelin rated restaurant owned by the eccentric Madame Mallory. The feud that erupts between the competing eateries doesn't prevent Hassan from wandering around Madame's restaurant and asking questions about her cooking techniques. Reluctantly, Madame agrees to take Hassan on as an apprentice, which only fuels the rivalry with his family. Hassan takes his newly-honed skills to Paris, where he opens his own restaurant and encounters a whole new world of unexpected adventures.